Sorry about the three consecutive lippie posts! After a rather busy week, I just want to do a simple lipstick post. 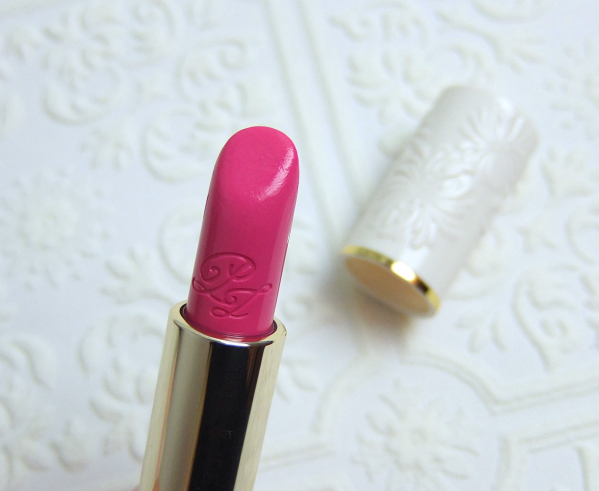 I like this lipstick very much, but nothing is unique or spectacular about it. See, I even wore it once before I took some pictures of it. No excitement was induced by this cool pink lipstick with sheer and glossy finish, because honestly I have at least 5 of them that are similar. But is the Pink Balloon fairest of all? Probably. 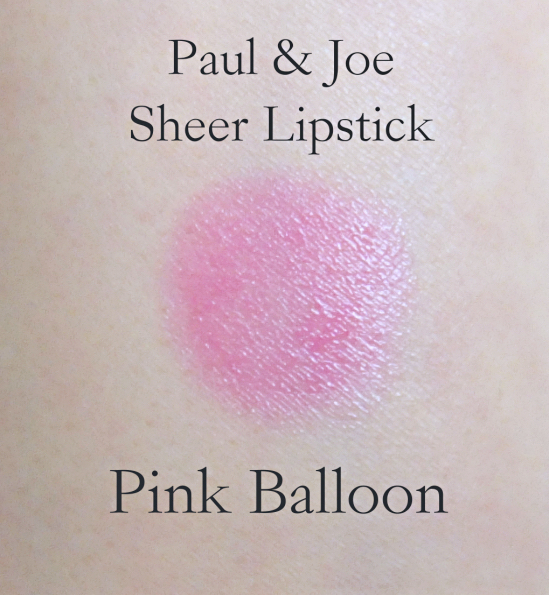 Pink Balloon is a bright pink for sure, but it is quite tame and wearable having some plum undertones. 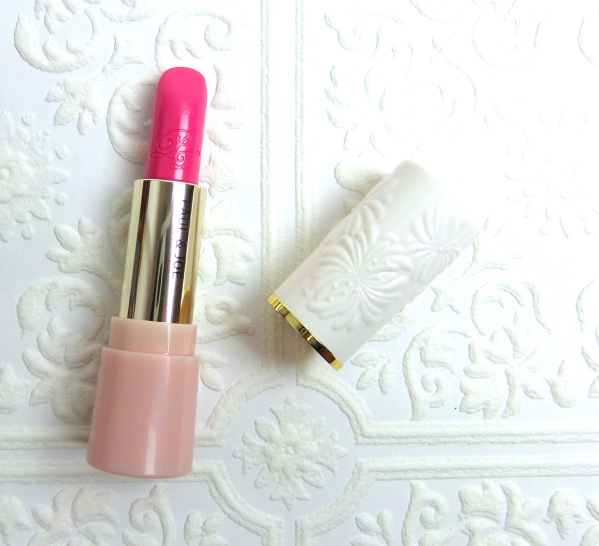 It is sheerer and glossier than L'Oreal Colour Riche Pop Balm I've recently reviewed. The formula feels more comfortable on lips than I remembered about the Cupids Kiss, which means it doesn't end up peeling my lips, which makes reapplications much easier. The initial glossy finish quickly disappears leaving an attractive stain behind. I think I actually like the stained look better. This season, I am consciously buying more coral and orange-y lip colors hoping to venture into a new color realm, but I cannot completely ditch the cool pink ones. What can I say? They are just easy and comforting, like the old friends. Hope everyone has a beautiful weekend. This lipstick screams Lena pretty loud! Most probably too sheer to show up well on me, but on you it's great! So sorry to hear about the snow. We had a really grey day here. I was expecting more from spring! I love sheer cool pinks like this one, Lena! I can see why you would have multiples of this type of shade, it looks very pretty on you. Are the P&J's scented? I think of these colors as Lena shades :) I'm actually trying to get into pinks more this season (vs my usual reds & oranges), but I'm backsliding into red, lately, lol! Haha, I gotta thank Tracy for that! Love it on you! Very Lena! ;) I'm trying to buy more orange and corals as well-it's tough when pinks really call to you I agree! So every time I see Paul & Joe beauty packaging I just want to ogle it ^_^ This one is no exception and the color is lovely on you Lena. Happy weekend! Let's hope this snow doesn't pile up. I know! The packaging plays a big part in my Paul & Joe purchases. I just love the ivory and peachy pinks with embossed flower designs. The scent is even my favorite. We have been lucky with weather this past 2 weeks, it has been sunny and pretty 'warm' at 10-12'C.. But the weather forecast said the temperature will sink tomorrow and next week :/ I am already so excited for spring..
Love how the colour reminds me so much of spring! Paul & Joe has the prettiest packaging - I'd collect them all if I could!! I can relate to you about the snow - I'm Canadian after all! Hope the snow will go away soon! I'm just glad the flowers haven't bloomed, yet. If it was after they bloomed, I would have been heartbroken! I saw your pic on p&j instagram and they make it sound like you said "Paul & Joe lipsticks are like old friends"...I havent gotten anything from them since the packaging revamp but I am excited about their summer collection (it would be same round compacts but in deeper colors). Anyway, I had to laugh reading their little blurb - it is obvious they did not read my post (or they were really serious about paraphrasing). I just like the packaging so much! It reminds me of Benefique lipsticks! Hey, you're not wearing black! :-D And I agree with comments above. This is definitely a Lena shade. Guess you've established your signature lip now! LOL. Yes, spring is coming after all. I wear all black in winter (with some color accents with jewel toned nail polishes and winter coats), but tend to wear more prints and colors in spring/summer. Paul & Joe makeup is about the whole package really. The feminine packaging, good quality, and everything. I'd give the lipstick itself a B+, though. I've only tried their blush once (I lost it with a lipstick along the other things in my makeup bag;;;;), but it was creamy and very nice. I'd recommend! Let's face it: people buy P&J purely for packaging. I would have had a ton by now if they were sold in more visible stores around here. 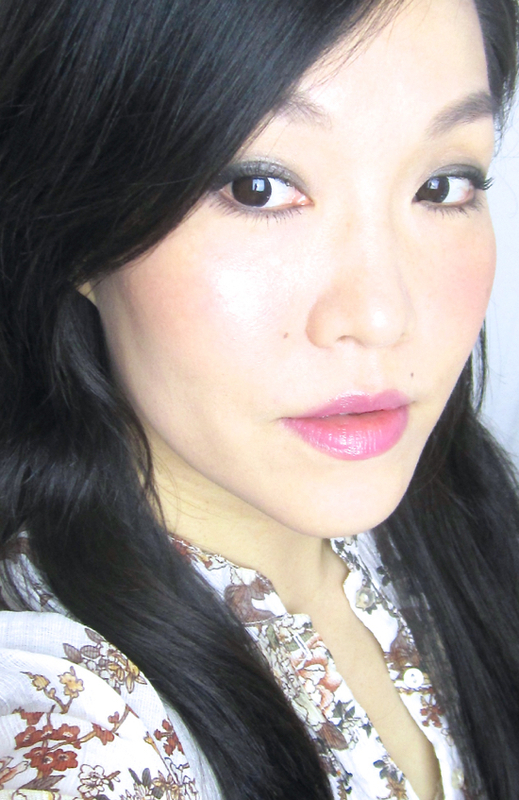 I'm actually big on the idea of refillable makeup now so I've sort of been wanting to try more from them. Just waiting for owls or horses to appear on one of those cases, lol! I wouldn't buy Paul & Joe if the products are totally crappy (I'm attracted to Anna Sui packagings, for example, but I haven't bought any in a while since I don't like the products as much. They are not crappy, though. Just to be fair).